Betty Mustain Stovall, 75, of Chatham, Virginia, passed away on Wednesday, January 30, 2019, surrounded by her loving family. Betty is survived by her husband of 58 years, Douglas Quincy Stovall; three sons, Michael Stovall and wife Marina, Stan Stovall and wife Tara, Ben Stovall and wife Shelly; and five grandchildren. Betty was born on September 20, 1943, in Danville, Virginia. She was predeceased by her parents, George Dewey Mustain and Ruby Saunders Mustain; and brother, Richard Dewey Mustain. She graduated from George Washington High School in 1961 and married her high school sweetheart. She began her career in the legal field and worked as an administrative assistant for a Federal Bankruptcy judge for 20 years prior to retirement in 2000. 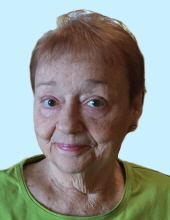 Betty enjoyed being a wife and mother to her beloved family and spent time as an avid reader. She also enjoyed cooking, quilting, and singing with her church choir. She lived out her life following Christ and sharing fellowship with her extended family at Mount Hermon Baptist Church. The family will receive friends Monday, February 4th, 2019 at Norris Mt. Hermon Chapel, from 1:30 p.m. to 2:30 p.m. followed by the funeral at 3 p.m. Interment will follow at Highland Burial Park. At other times the family will receive friends at the residence. In lieu of flowers, please send donations to your chosen charity. Norris Funeral Services, Inc. & Crematory, Mt. Hermon Chapel, 3995 Franklin Tpke., Danville, Va. is respectfully serving the Stovall family. Online condolences may be made at www.norrisfuneral.com. To send flowers or a remembrance gift to the family of Betty Mustain Stovall, please visit our Tribute Store. "Email Address" would like to share the life celebration of Betty Mustain Stovall. Click on the "link" to go to share a favorite memory or leave a condolence message for the family.